Fast draw pistol holster without any additional, mechanical retention systems. Designed as OWB holster (Over the Waist Band). 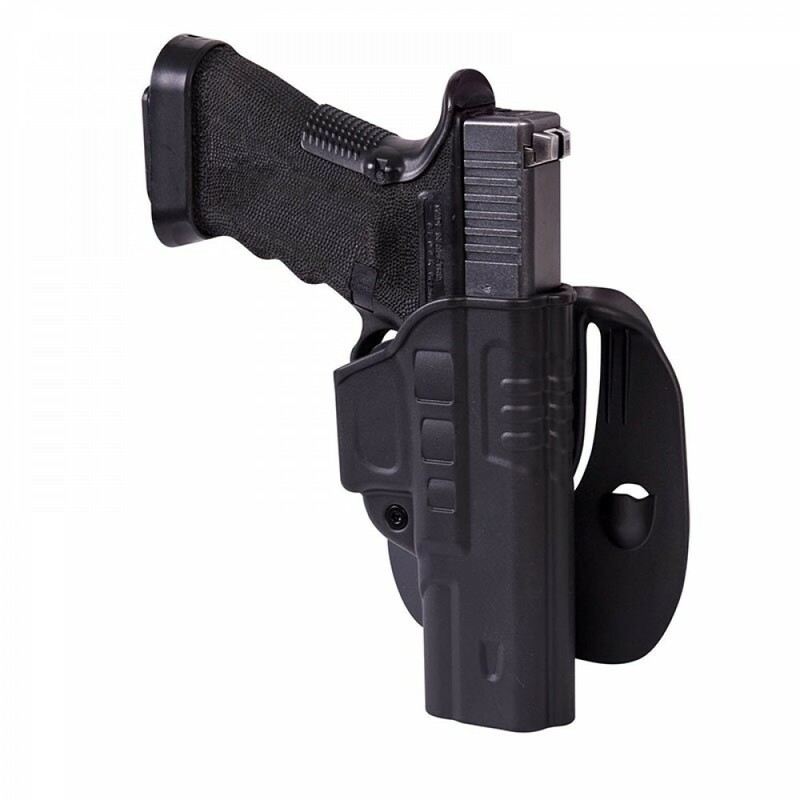 Features paddle stabilizing the holster on users body.